Edinburgh Designs design a variety of hydrodynamic test tanks that combine flow, waves and wind. 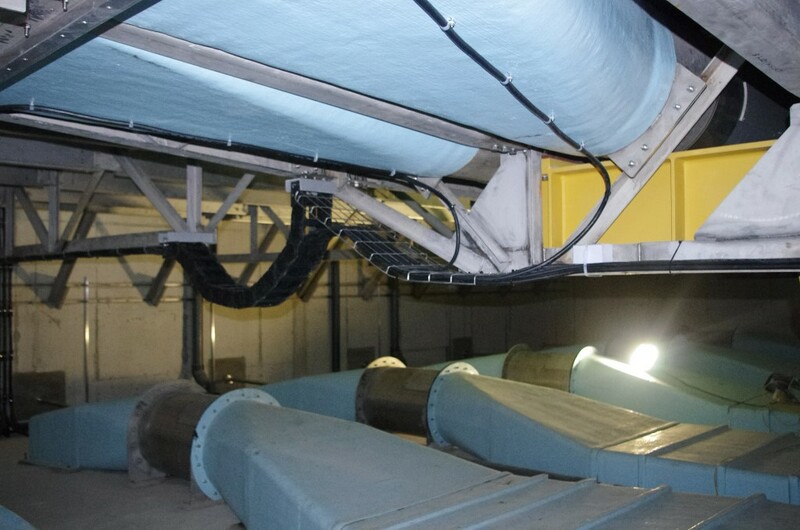 We have designed and installed ducted propellers within flume tanks, and wide tanks. 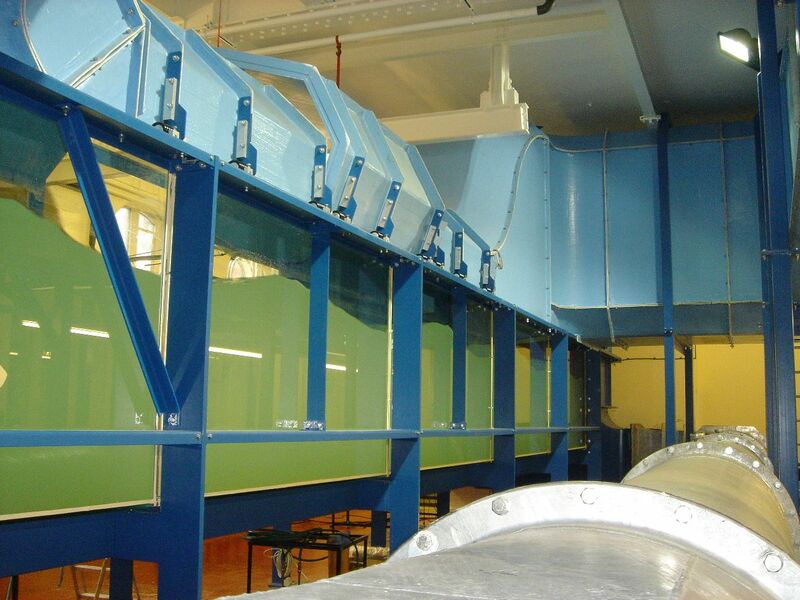 Our largest tank so far is the Edinburgh University flow tank with a capacity of 28m³/s. 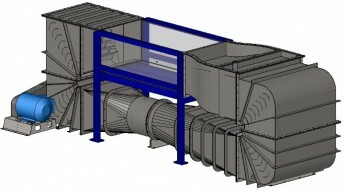 We specialise in designing and commissioning equipment to meet customers specifications. 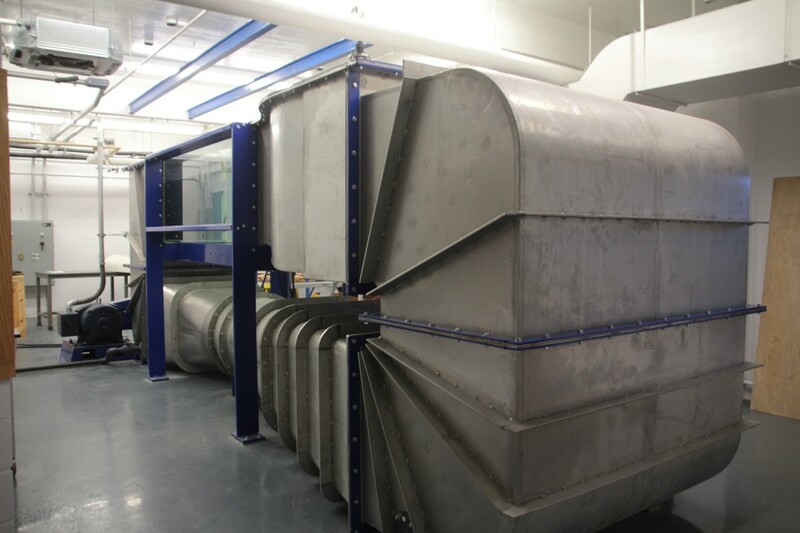 Flow tanks are used to test static models in moving water typical applications include ships, marine structures and turbines. The flow propulsion system and return pipe work is specifically designed to match the flow conditions in the working zone. 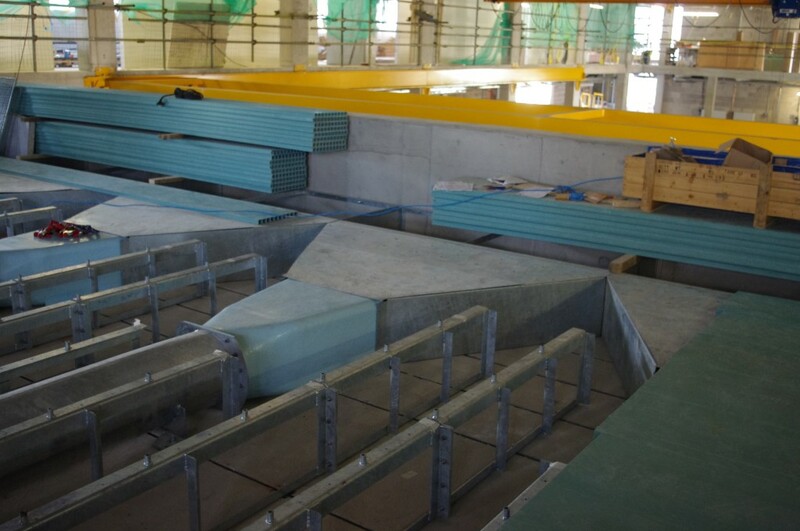 Sizes constructed so far range from 0.6 x 0.6 x 8m to 0.8 x 0.8 x 2m with a flow speed of 2m/s although other sizes are also possible. The University of Newcastle required a wind tunnel above the working zone of a and wave tank. 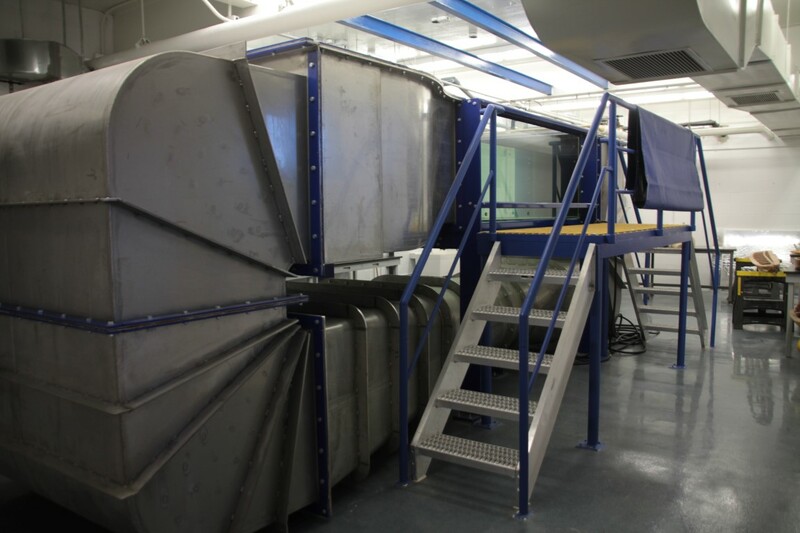 The tank was designed for testing renewable prototypes, although it can also be used for standard resistance, sea keeping and wind loading experiments. 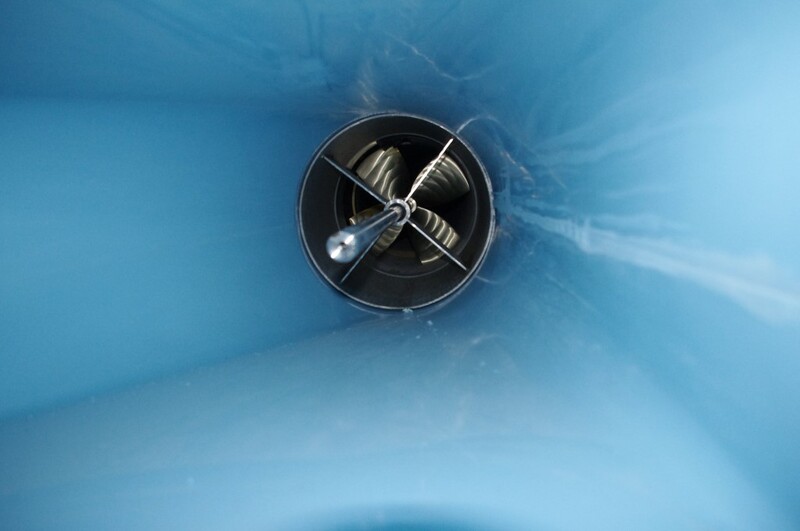 The tank measures 5 x 1.8 x 1m deep with a water flow speed of 1m/s and maximum wind velocity of 20m/s. More detailed specifications can be found here.